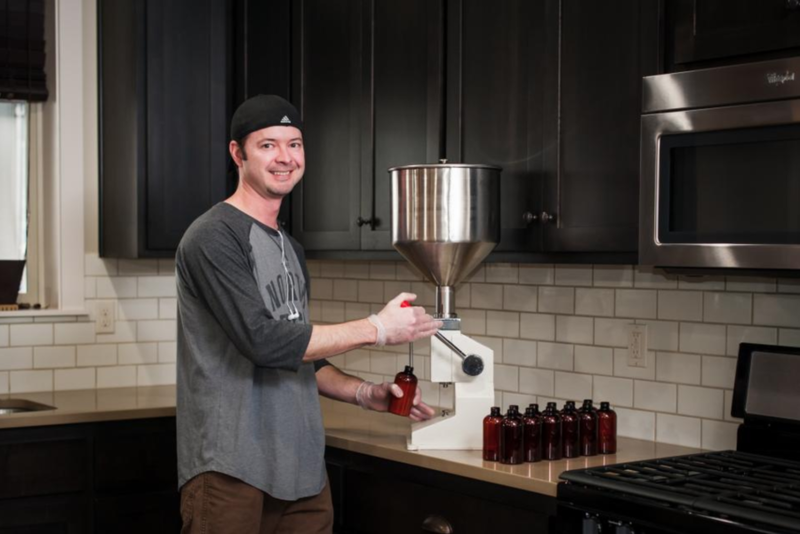 Royce, of Something Green Soap Company, was one of our Kiva microloan recipients. This past winter, we launched #LivePlanGives, starting on Giving Tuesday. For each new LivePlan annual package that was purchased between November 28 and December 25, 2017, we put $10 toward funding Kiva microloans to support entrepreneurs around the world. We’re also offering every business we loan to a complimentary subscription to LivePlan. At Palo Alto Software (makers of LivePlan), it’s part of our ethos to be an active part of our community year-round, both in our home state of Oregon, but also in a more global sense. But this blog post isn’t so much about patting ourselves on the back. What we really want to do is say thank you to our customers—whether you signed up for LivePlan during #LivePlanGives, or you’ve been using our software to steer your business for a decade or a just a week. It’s you—the entrepreneurs and small business owners—that guide our mission. We wouldn’t be in a position to give back without you. We picked a few businesses here in Oregon, like Something Green Soap Company and Hot Winter Hot Sauce. 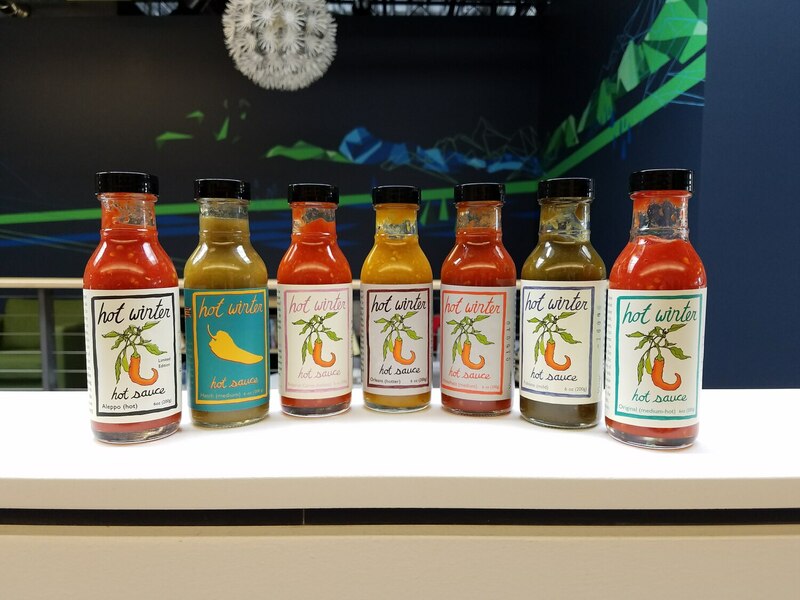 We were curious about them, so actually ordered some soap and hot sauce samples to test out around the office. Samples from Hot Winter Hot Sauce. We didn’t want to just keep our loans local, though. We actually funded loans in eleven different countries. We’re supporting slightly more businesses owned by women (58 percent), in part because the number of women starting businesses is growing each year, and we want to support that trend. A business in Uganda will now be able to renovate their rental properties, while another will use their loan to increase the variety of products they’re able to offer in their beauty salon. In Peru and Timor-Leste, farmers will be able to grow their small agriculture businesses. A pet nutrition company in Florida will be able to expand their business and increase their marketing efforts. A web developer in Armenia will be able to invest in a better computer so he can increase the quality and speed of his services, and a construction business will be able to purchase tools so they can expand. A retailer in Puerto Rico will be able to rebuild after significant hurricane damages. Students pursuing college degrees will be able to continue to their studies in Kenya and Lebanon. 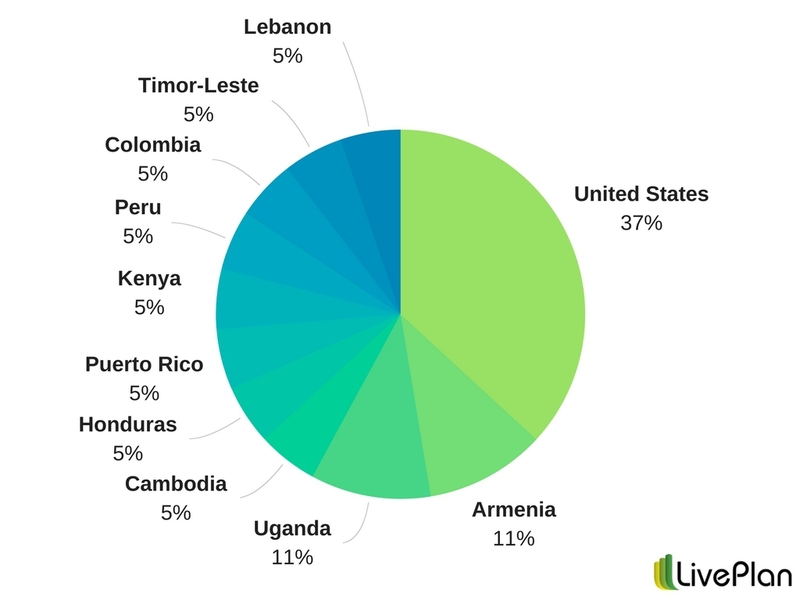 Here’s a breakdown of where these microloan-funded businesses and individuals are located. To learn about all the businesses we’re lending to through Kiva, visit our company profile page. We’ll also share progress reports on Facebook and Twitter as we get them from the companies we lent to. Plus, as people pay back their loans, we’ll be able to reinvest the loan funds in other businesses around the world that are working to grow and thrive. If you’re looking for ways your company can give back, check out our CEO Sabrina Parson’s suggestions in this blog post. You don’t have to change the world all in one day—small efforts add up. Thanks again for being part of the LivePlan family. We’re in this together.